Radiographs or x-ray film are important for proper evaluation of a patient. The films can help detect such problems as bone fractures and identify objects in the stomach, intestines and urinary tract. Our hospital has the latest digital x-ray imaging that is transferred to all patients records. The radiographs need to be read ("interpreted"). They can also be used to confirm or detect the presence of certain diseases. 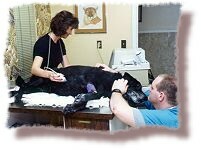 Another form of diagnostic imaging used at Community Veterinary Hospital is ultrasound or a sonogram. Instead of x-rays, sound waves are used to detect abnormalities. 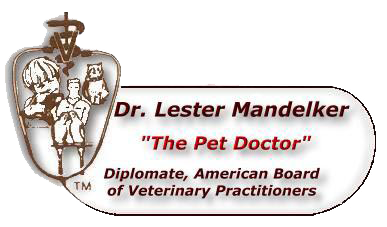 Dr. Mandelker will even use this form of imaging to help diagnose a disease process in patients at Community Veterinary Hospital.